Expect the unexpected from new Hoxton resident, Beagle. Located under the station arches, it’s far too polished for this hipster hood. I went there on a Sunday expecting a relaxed brunch menu, not an egg to be cracked. And perhaps the most shocking, where is the beagle hiding? Shocked and a little confused we sat down to gather our thoughts and soak up some glorious sunshine in the hedged courtyard. The first saving grace for Beagle was the Bloody Mary. Despite not serving brunch they do have a ‘Hangover Cocktail’ menu. Thank god for that. And the Bloody Mary was bloody good, a level of spice which could be described as medicinal. The menu is safe. It’s all very appealing but nothing that really gets you excited. Or maybe I just really wanted eggs. 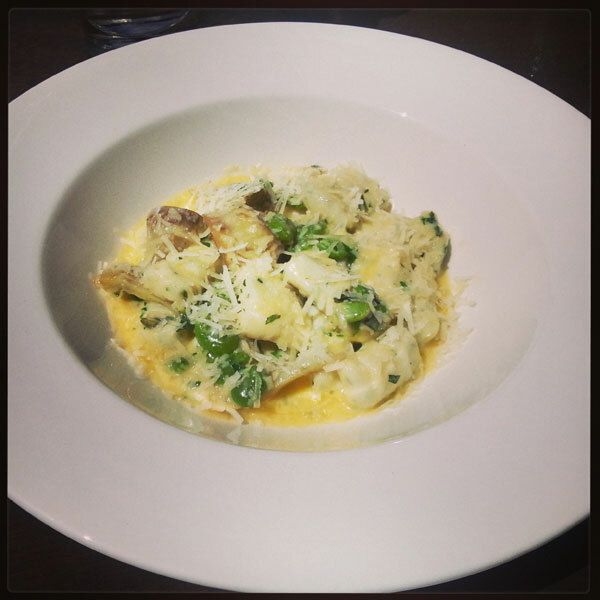 Ricotta gnocchi, violet artichokes and broad beans was very pleasant. Lots of creamy, buttery, cheesy goodness. 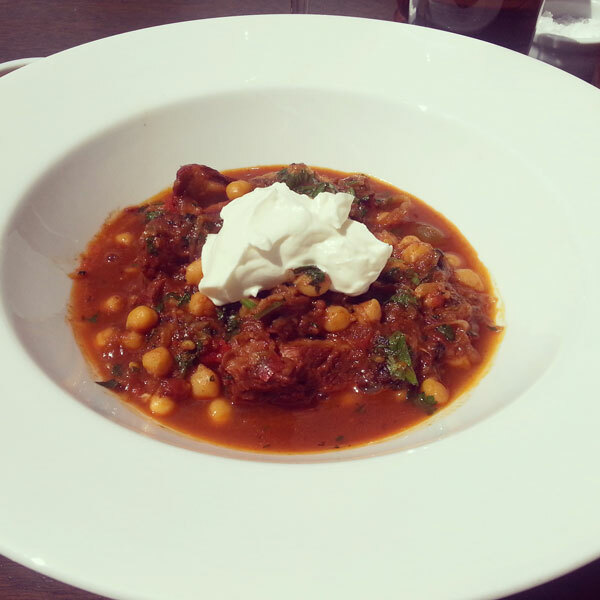 Lamb harira and lebnah was tasty. Something I would cook at home for a little comfort. It came with a side dish of harissa which the waitress warned was ‘very hot’. It wasn’t. Beagle isn’t all bad. It’s perhaps just not what I was after on this particular Sunday afternoon. 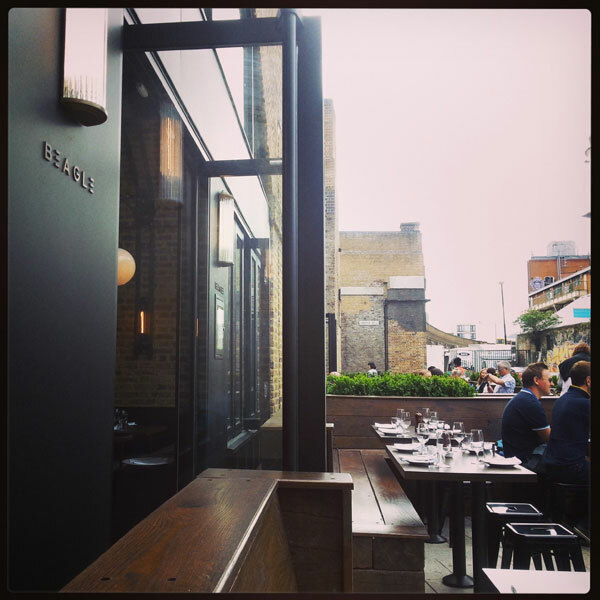 The fit out is very stylish, dark wood, exposed bricks, wrought iron light fittings, lots of black and moodiness. The atmosphere much more sophisticated than the menu. Not one to make a detour for. 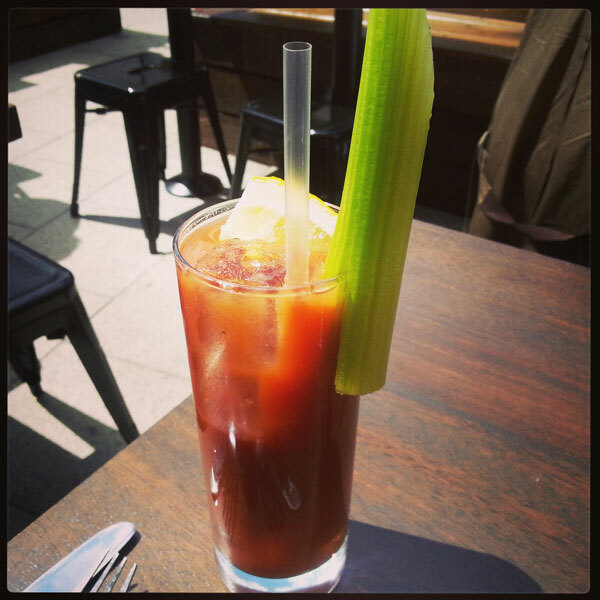 I would however recommend the Bloody Mary of you are passing by. Don’t expect any eggs. And certainly don’t take your beagle along expecting to meet a new pal.